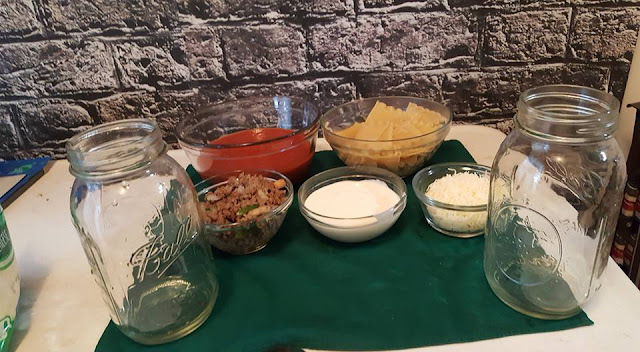 Mason Jar Lasagna is a fun way to easily take a favorite dish picnic style for date night or a family dinner at the park! There is something about mason jars that make me giddy. They are so incredibly useful; they are cute and come in so many shapes and sizes, and they are perfect for taking delicious things just about anywhere! There is also something about lasagna that makes me swoon. The layers, the cheesy dreamy textures, the sauce. Sigh, now that folks, is what dinner is all about the euphoria the mention of a food, like lasagna, can give you! I brought these 2 favorite things together to create an awesome dish to take along with us, while we enjoyed this unseasonably nice Ohio winter weather! 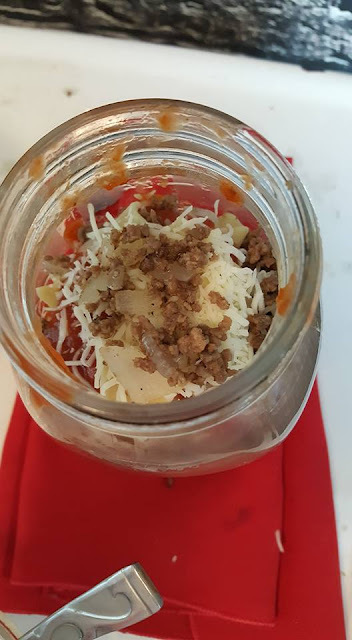 Mason Jar Lasagna keeps warm during the transport, is so easy to eat, where ever and it adds so many amazing layers to the dish that who could resist it? My recipe is a little better than anyone else's because of my secret ingredient cream sauce, but I am going to share it with you because anything this yummy should be shared with a smile! Begin layering all ingredients into jars until they are almost full. Seal the jars and submerge them in a pot of boiling water for about 10-12 minutes until the noodles are cooked and the layers are thoroughly heated. Carefully remove them and wrap them in towels to transport, or pop the lids off and enjoy right away. These jars will stay piping hot for about 25 to 30 minutes! 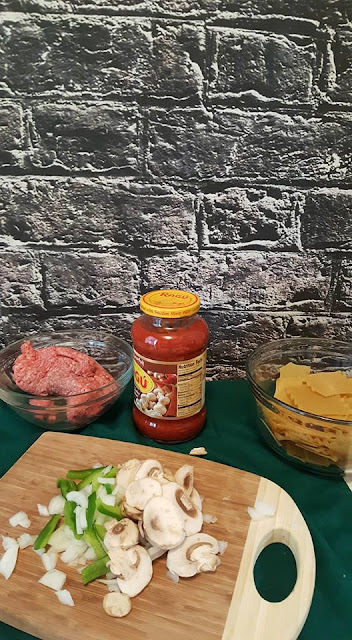 This is such an easy recipe for a yummy dinner that is packed full of veggies and cheese, not to mention meat and sauce! Do you have a favorite mason jar recipe? I would love to hear about it! I've never seen this before but it's a great idea and sounds really yummy too! That is a very unique twist on one of my favorite foods. I like the idea of putting it in a mason jar and think it would be a great way to take it with me. The grandkids love mason jar goodies that I make for them. This would be a great way for them to eat more lasagna which happens to be my favorite food. They are picky about what I put in it. This would be perfect. Ooooh I love lasagna! I haven't had them is such a long time! Never tried anything with a mason jar but that's a cool idea! Oh my gosh no way!! This is an amazing idea! I had no idea you could do this! I totally want to try it out! Oh wow, this looks so good! I love lasagna. Mason jars are ever so useful! I'm finding new uses all the time! This is a cool idea. One of my favorite dishes in a mason jar. I would love this! 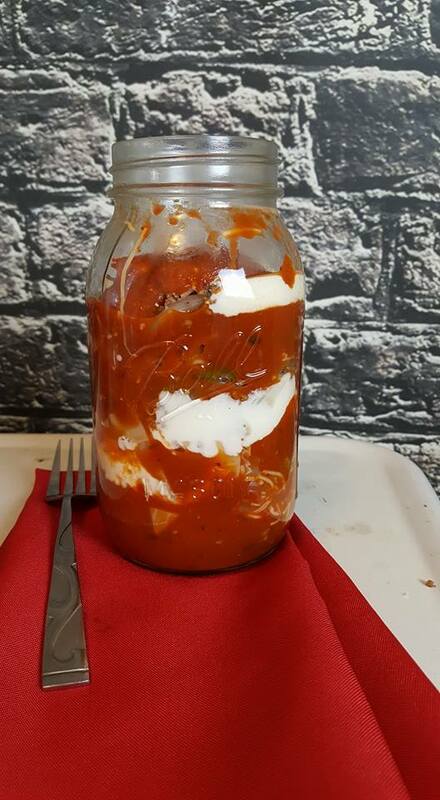 I have never tried lasagna in a mason jar. Good idea and great for picnics! This is a cute idea. Mason jar with lasagna. Yum! I love this idea. I am going to give it a try. I know everyone would love it. I received one of these around Christmas and I thought it was neat. She is secretive of how she made it,thanks for sharing. i can't wait to make these. Even easier if you use wide-mouth Kerr/Mason jars! I LOVE Ball jars and have too many to store, so now I have been put on a strict jar-diet: I can only get REALLY cute jars (i.e. colored ones, quilted or patterned glass or tiny ones) or wide-mouth jars to replace my regular ones. 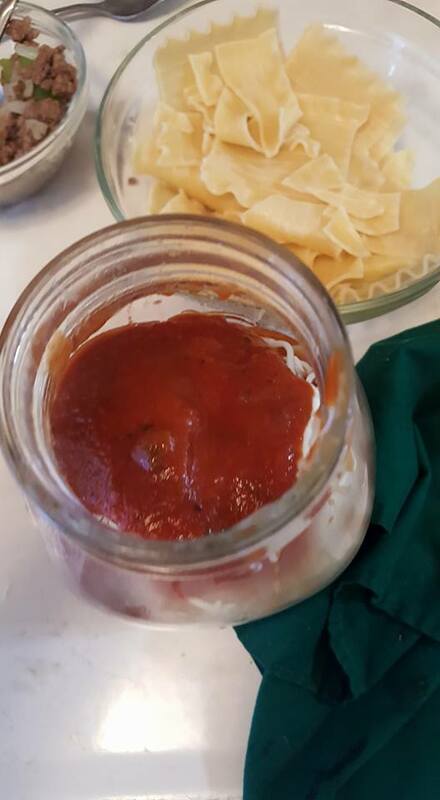 Did you know that plastic Parmesan cheese lids and some small peanut butter lids will fit on the regular-size Ball jars?